Linda Rosing dressed her son Kean in a shirt from Rockefella for this cover shoot. Check out all the fabulous kids clothes from Rockefella here. Our very own videographer Dan has just finished this video from Cardinals Junkyard Jamboree. Enjoy! Deeeep in the south of Sweden out in nowhere you will once a year find a bunch of greasers and teasers having a one hell of a party! This event is held by the good lookin' lads in Cardinals Car Club. This short film will show you some of the action, but be sure not to miss it next year! Music: Astrolites - Hot Rod from hell. Filmed and edited under the influence of alcohol, don't try this at home kids! 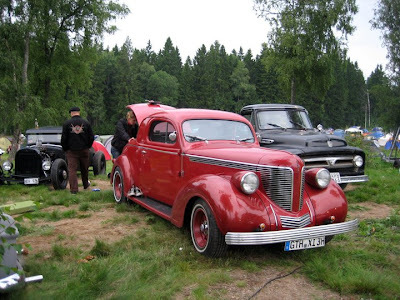 We got back from Uddevalla at 5am this morning after a fun night at Tiki Jamboree at Harry's. 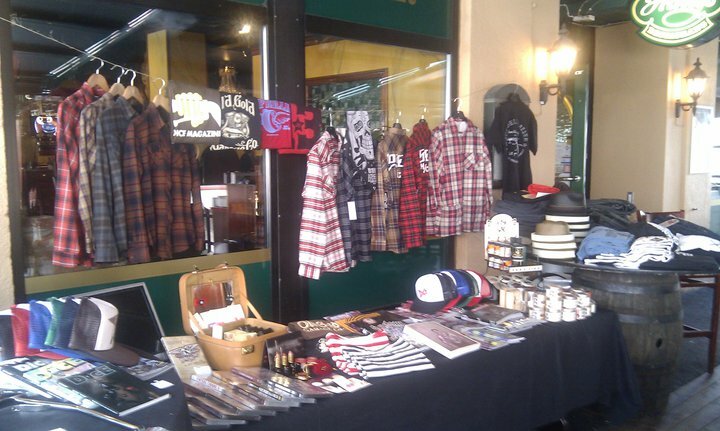 Life on the road with the HepCat Store ain't for the fainthearted. 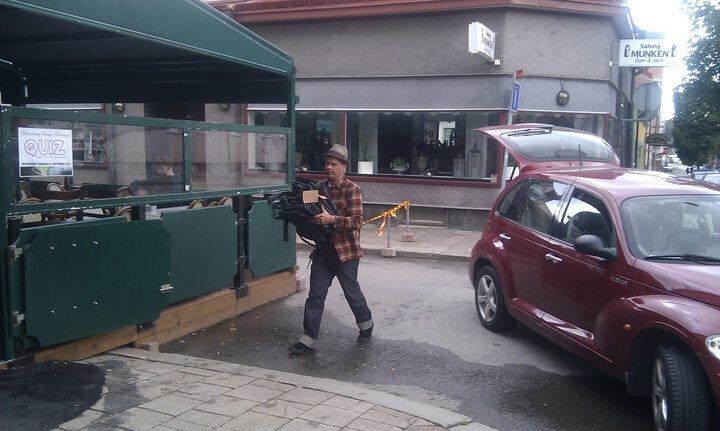 Rob - unpacking the car. 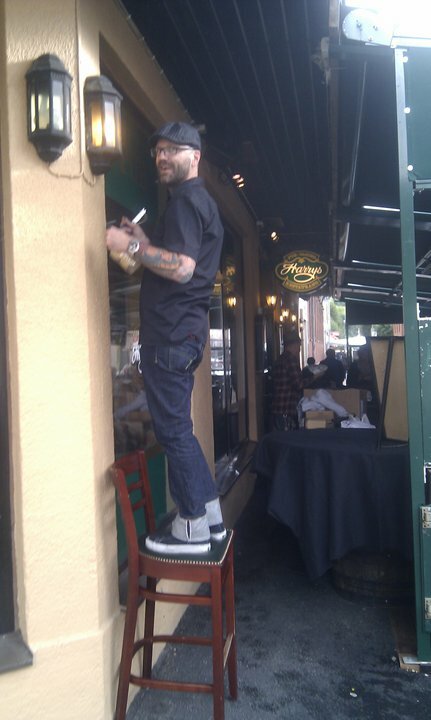 Patric from Kustom Kutting and his piece of string. Thanks to Biffen from LeBeef Kustom Metal Works for hangin' with us, and to everyone who dropped by and said hi. 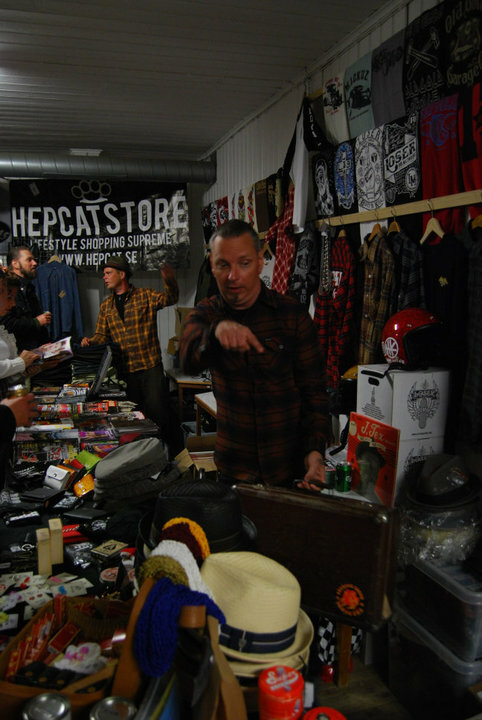 HepCat Store will be at Tiki Jamboree in Uddevalla this Saturday. Drop by if you're in the neighborhood! 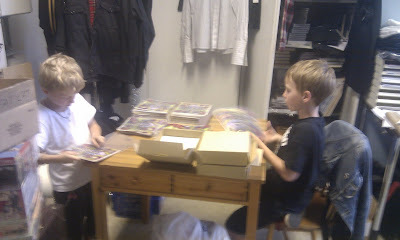 The youngest members of the Saint 21 crew, working on packaging some heptown records vinyl. Don't worry, they're getting paid and they're the first to let us know if working conditions are not up to standard. 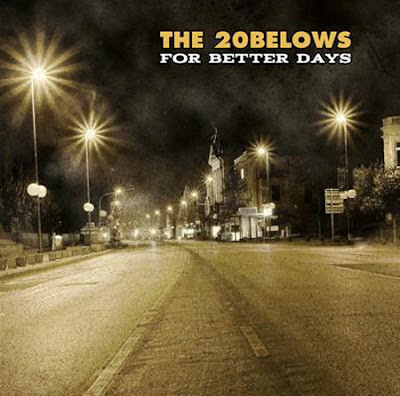 Check out the latest record from the 20Belows - For Better Days. Poppunk with a tear and a broken heart. As if Mike Ness was singing for Chixdiggit. 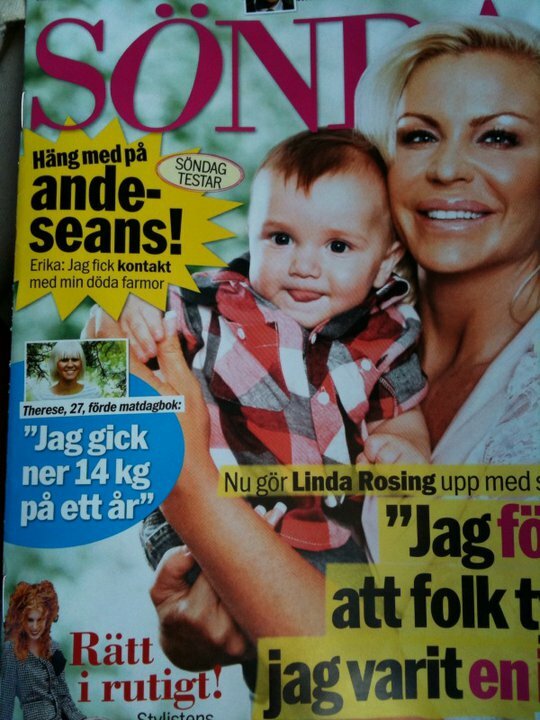 Nah, that's horrible! But this record rocks and makes you wanna go back to that summer when the world was still a nice place. 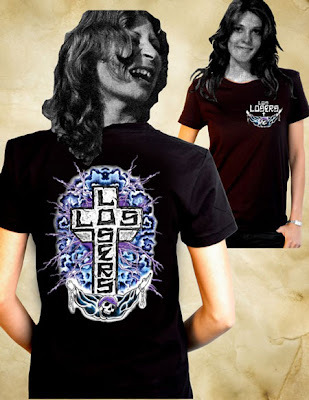 The 20Belows are a melodic punk rock band from Copenhagen. They are touring Europe in September and October, check out the details on myspace. 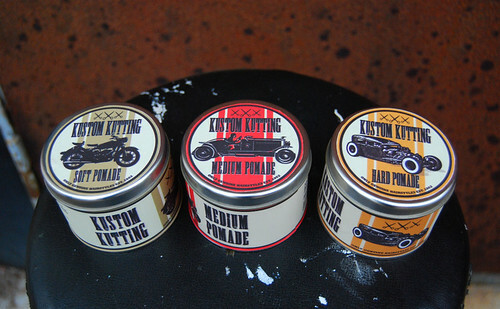 Patric of Kustom Kutting has just launched his new line of pomade, created by Levin's Pomade. 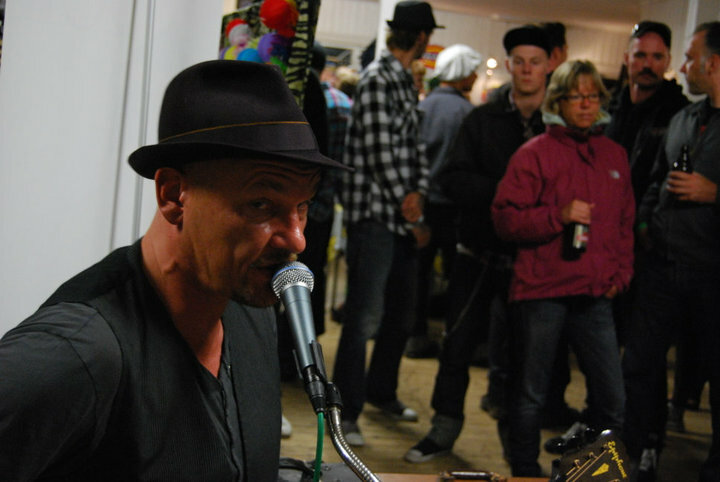 Micke Levin (Levin's Pomade), Robert Göthe (HepCat Store), Rebecka Nord (Fritzi's Hair Parlour) and Patric Fjellman (Kustom Kutting). Get them at the HepCat Store in Lund right now. They'll be stocked in the webshop in a few days. Check out Triggerbomb, the latest video from The Locators. 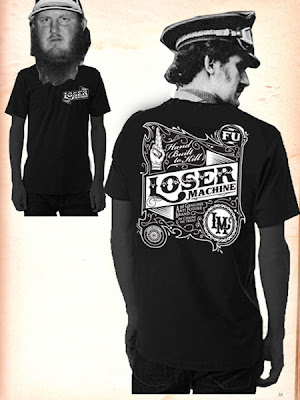 Check out the new stuff from Japanese label Loser Machine. It's heeeere! It’s a goodun... Philip from DSK in Holland has his lovely 45 on the cover, with some more great shots inside by Floris Velthuis. What else? 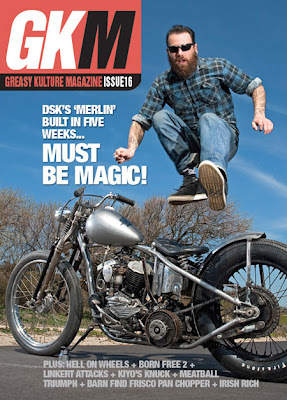 Irish Rich unveils some of the secrets of the old H-D factory on Juneau Ave as revealed to him in a Milwaukee bar… we talk to Meatball and his customer David Borras on how they built a Triumph together when they live 6000 miles apart... Jason Parker tells us why he loves to hate his Shovelhead... and more! 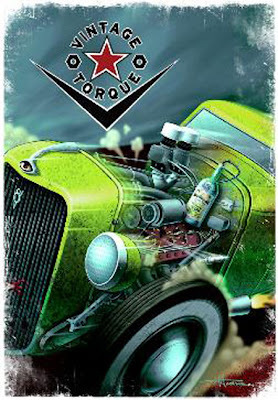 Vintage Torque number five has landed! This DVD is not for everyone. If you are afraid to get grease under your fingernails, or have never been a member of the busted knuckle club... then you may not "get it." 4 Hours on 2 DVDs of Timeless Traditional Hot Rods and Kustoms. 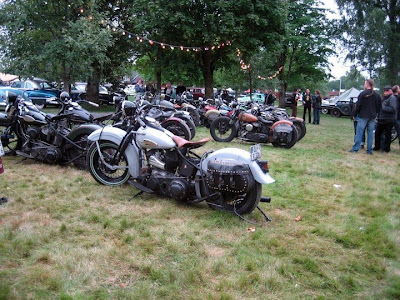 Click here for more Vintage Torque. We've got a brand new coffee-table book for all you hot rodders and kustom lovers. Go with Moon! 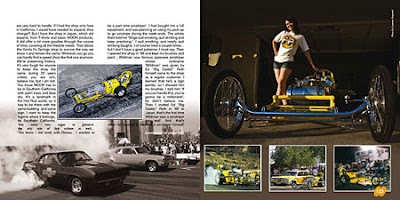 1950-2010 tells the story of Mooneyes. Dean Moon, instead of creating an empire, set the path for many hot rodders to get their share of fame, while his products, his cars and his cleverly used ‘Eyeballs Logo’ became legends. This fantastic industrial and human adventure is strongly rooted in the Post-WWII era, but it managed to survive the decades and the passing of its originator in ’87 : a young Mooneyes Japanese distributor, Shige Suganuma, bought the whole Moon legacy, carefully preserved it and expanded the business and hot rod philosophy… to the world. 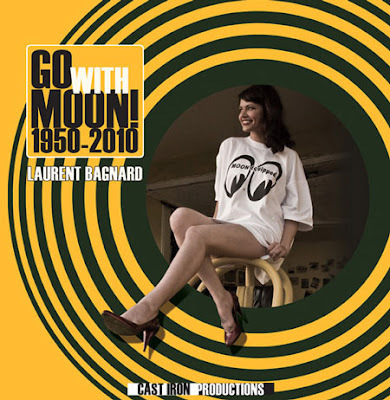 About the author: Laurent Bagnard is a photographer and journalist. He is the founder of Powerglide magazine in France and the author of a reknown collection of books, Cheatersville, Electroline Diaries, Rebel Motorcycle Ltd. His work on US subculture gained him an international recognition and he now works for various magazines worldwide, from Gasoline mag in Sweden to Rod & Custom in America. Go With Moon is his fourth book. We're back home and we've recovered from A-bombers. Well... we're dry and clean at least. This must have been the rainiest weekend we ever spent at Backamo lägerplats. We felt very lucky to have our booth indoors and our van parked right outside! Photo by Tony, shamelessly stolen from Facebook. We were a little tired after packing boxes, packing the van, driving to Backamo, unpacking, sorting, selling, chatting to friends and looking at cars. There's just so much going on during this weekend! 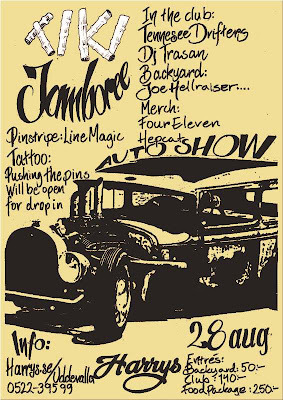 I don't think any of the HepCat crew saw any of the bands, we were just too busy selling and talking to people. Good thing we brought our own entertainment in the form of J.Tex. 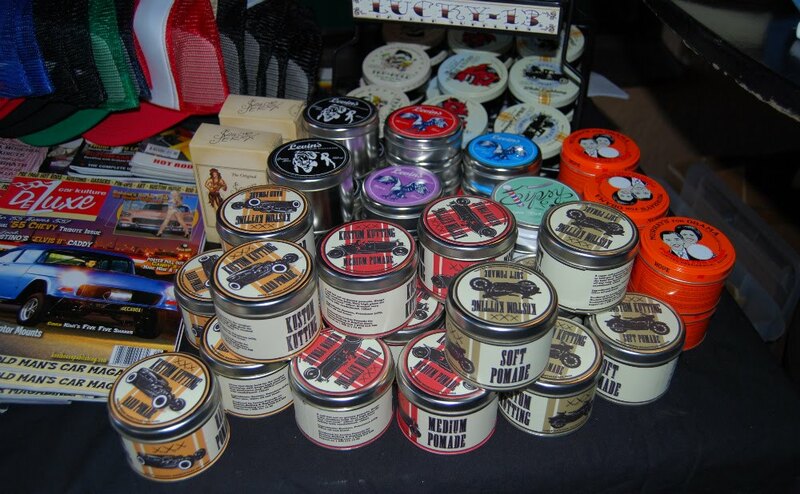 Patric the barber premiered his new Kustom Kutting pomade, created by Mr Levin. We sold out really fast, but there will be more in stock as soon. Other popular items were snoods, Sailor Jerry tees and Pike Brothers mechanic bib jeans. Rob and Tony working the booth. All three of us wore plaid woolen shirts. And no, we didn't plan that. We meet a lot of cool people at A-bombers but the award for most suitable ride must go to Jimmy from Nordic Flake. Just look a that little pink Skoda with flakes. That baby sparkles in the sunshine, let me tell ya! Let's just hope we get a lot more sun at next years A-bombers. The boys from Nordic Flake drive in style.